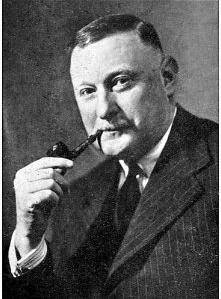 The greatest English mystery-writing friend of John Dickson Carr, the Golden Age master of the locked room detective novel, was Major Cecil John Charles Street (known not as Cecil but John Street--like Cecil Day Lewis aka Nicholas Blake Street did not want to be called Cecil either!). In England Carr and his wife Clarice during the 1930s regularly socialized with Street and his companion Eileen Waller (Street was married to though separated from another woman and did not marry Waller until shortly after his first wife's death in 1949). Both John and Clarice found Street a delightful storyteller, with a vast store of colorful and sometimes racy tales of his army days from earlier in the century (among other things Street was an artillery officer in World War One and later served in military intelligence), while John was quite awed and impressed with Street's pronounced ability to hold immense amounts of beer without showing any outward physical effect (John Carr himself was not so blessed in this regard). At John Street's and Eileen Waller's spacious mock-Tudor residence in Kent, Street and Carr collaborated on the novel Fatal Descent (Drop to His Death in England), Street helping to plot it and Carr writing it. The novel was published in 1939 under the pseudonyms John Rhode (an obvious pun on John Street) and Carter Dickson and it was quite well-received. Huge Walpole memorably declared in a review, for example, that men as clever as the two authors should be "running A.R.P. or settling the Palestine question." Street and Carr planned more such collaborations, but unfortunately World War Two disrupted these plans. Yes, there's no arm attached to that gun-wielding glove--queer indeed! This interesting if short-lived collaborative effort between two highly regarded Golden Age detective novelists has been discussed by Douglas Greene in his classic biography of Carr, John Dickson Carr: The Man Who Explained Miracles. Doug also explains how Carr based his short story detective from this period, Colonel March (he of The Department of Queen Complaints), on Major Street. which might be sandy or grey"
In my own book Masters of the "Humdrum" Mystery: Cecil John Charles Street, Freeman Wills Crofts, Alfred Walter Stewart and the British Detective Novel 1920-1961, I discuss the Street-Carr friendship as well as some additional books by the two men that show hints of mutual influences. Street and Carr both published novels in 1939--the same year their Fatal Descent appeared--that show striking similarities in murder mechanics. Further, a 1940 Carr novel, the haunted house tale The Man Who Could Not Shudder, besides being highly Street-ish in its murder mechanics, is set in a Tudor mansion probably inspired by Street's house in Kent. Further yet, Street himself in 1943 published his own haunted house tale, Men Die at Cyprus Lodge. Although today Street is, to be sure, much less read than Carr, the Major shared with his younger friend a positive genius for devising dazzling murder mechanics (however he used the specific locked room plot device only sparingly and was a rather more deliberate writer). Dazzling murder mechanics were just the sort of thing that Golden Age readers loved, though admittedly today, as P. D. James has written in her short genre history Talking about Detective Fiction, there is in many quarters a preference for what she calls "credibility" over ingenuity. But doesn't it seem odd to so downplay the idea of ingenuity in a detective novel, as James does? Carr, I suspect, would have declared that "credibility" is simply another word for drabness. If you feel as I do and as Carr and Street did and believe that ingenuity should not be shamefacedly shunted to the narrative periphery but, rather, placed at the very heart of a mystery, seek out some Streets to rub shoulders on your shelves, so to speak, with your Carrs. They would not disgrace Carr's august company (for an interesting recent piece on John Dickson Carr, see Tipping My Fedora). on the novel Fatal Descent? Certainly the murder means in the novel are quite Street-ish. A fascinating read, thanks! I have recently become a big Carr fan, but have never heard of Street until now. Will be looking out for his books, though likely they are hard to find. Utterly fascinating Curt, thanks very much for all this detailed information from your research and all the wonderful dust jackets too! Do you think the QUEER COMPLAINS cover is a bit literal about the story entitled 'The New Invisible Man'? There must have been some disappointed readers ... Of the Rhode books that are available to those of us not in the US (or e-readers), is there a John Rhode top 10 you could provide us with? I would be very grateful! Hmm...I'd have to say that your search for works by these two authors could be written up under the title "A Street-Carr Named Desire." I have "Fatal Descent" on my bookshelves and read it several years ago. 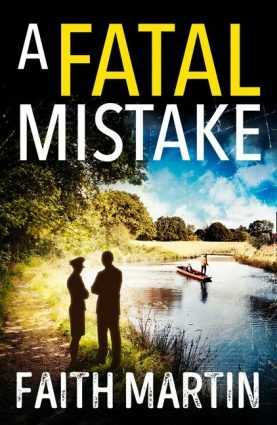 I recall thinking that the mechanics of the murder were a bit much - but that's probably no more than my usual unfair reaction to learning how the trick was done - "Is that all there is?" It's the real reason why magicians never give away their secrets; it is natural, if unfair, to be disappointed to learn that the magician didn't really have supernatural powers. Anyway, thanks for another interesting article. I'm looking forward to reading your book (which will be ordered, finally, later today). You're in love with Rhode and so what I'm about to say may seem unpalatable, but .. it seems to me that there is a reason because Carr has read much of Rhode. It seems to me that Carr was brought forward much, much more modern than Rhode, who in his own inclination toward the newfangled mechanical termination of its program, was more dated. It's difficult to find in Carr any crimes made ​​with mechanical gadgets, for example a light bulb full of poison gas. It would be almost a contradiction that Carr, whose crimes just because they are extremely simple are also so hard to be explained in their inconsistencies, adopted cheap tricks. More than Rhode-Carr axis, I would speak of an axis Carr-Rawson, two real big guns: the challenges of the development of reason (in my opinion in terms of conjuring trick, Rawson is a little ahead of Carr) Carr distances Rawson at writing style and atmosphere. Rawson, at the time when he was a friend of Carr, won the challenge on the grounds of short stories that are all authentic must, when Carr wins the challenge on the grounds of the novels. The only Locked Room novel in which Rawson comes very close to the two masterpieces of Carr (The Judas Window and The Hollow Man) is Death from a Top Hat, in which I basically Rawson lost only the lack of an appropriate atmosphere (but sets and solves which problem!). Thanks for getting the book! Personally I found that a fascinating way to kill someone in an elevator, and it was nicely clued (the clueing shows Carr's hand I suspect). Will have a top ten for people later. Well, I would not quite say I'm "in love with Rhode." Love can destroy objective reasoning and to function effectively as a critic and analyst, one needs to maintain objectivity, or make a strong effort to do so. There is no such thing as the flawless writer. I don't believe it's hard to find reasons why Carr is more read today than Street (though Carr himself is much less read today than the Crime Queens or the hard-boiled authors). He's a more colorful writer and a better misdirector as to identity of the criminal (the surprise factor), and the abundance of locked room problems is tremendously appealing to a certain class of reader (including myself). Even if Street's books were more easily accessible, he would not be as popular as Carr. It's not the purpose of my piece to suggest such. However, I find a lot of interest in Street's genre writing. I don't believe a reliance on applied science and mechanics is old-fashioned or unmodern--look at all the science we have in police shows today. Street was the Golden Age generation heir of R. Austin Freeman, who I think stands today as one of the most fascinating detective writers. And I come from an almost exclusive liberal arts background! Certainly some readers, then and now, found/find some Carr solutions "bookish" and implausible (see criticisms of Three Coffins, Ten Teacups, Crooked Hinge, etc.). Many of course are beautifully simple and smooth however. I certainly agree there was great affinity between Carr's books and Rawson (and some Talbot and Boucher), but it's still true that Carr and Street shared a peculiar fascination with HOW a crime is committed, its means (Dorothy L. Sayers was another means crime writer). You'll notice that I designated a few Carr books as Streetish (or one could say Rhodean). The Man Who Could Not Shudder absolutely is Streetish in its murder mechanics, though it's combined with Carr's amazing flourish of a triple twist ending, if I remember it correctly. The Reader Is Warned does share an interesting similarity to a Street book published the same year. Street did create some locked room problems. they did both write haunted house tales. They were great friends and they did collaborate. I think all this is worth mentioning. I think Street and his work is more interesting than Symons allowed. If people want to know more about why I do, there's always my book ;) available in oversized paperback, eBook and I hope soon to be found in many university libraries! Thanks for the comment on the title of the piece, it was of course deliberate. I thought about Street-Carr and Desire, but I didn't want to make it sound like I was writing about another sort of relationship between the two men! Cheers mate! Always a joy to read your blog, no matter who it's a addressed to. And thank you, in advance, for the top 10 Street Guide (couldn't resist), which i promise to slavishly adhere to! Ye gads, what is this affliction that bothers so many mystery writers, in which they leave the wife, yet do not divorce her, and take up with another? Conan Doyle, Street and Gardner all fall into this pattern! I had to write love between the quotes, and then you would not misunderstand: I meant by love, greatly interested in Rhode. Moreover, even before he became a template of your book, you can infer from your blog articles, which appeared often, what is interesting for you. The filiation Freeman-Rhode that you suggest is very interesting. And also Carr's novels derived from Rhode plot mechanism. Frankly, when I talk about dating in Rhode, I mean, how can I say ... uhmmm .. a sort of vandinian writing in Rhode, not because Van Dine had invented these methods, or because Rhode was or was not a S.S. Van Dine pupil, but because in writers, Van Dine pupils there are several of these means fanciful (blowpipe, as used in a story by Rufus King with Reginald de Puyster; cork with poisoned tips, as in one of the first Queen; the gun ready to kill himself in Van Dine, etc. ..) and then find themselves in Rhode, and that are also found in other writers (Phillpotts, Teilhet, Farjeon, etc. ..), some earlier, some of the time but by the past. Yes, I know, and there's no doubt I'm a Street fan! But one also has to try to maintain some critical distance, even with one's favored writers. I try to do that. So of course I'm not offended by your comments. If I were that easily offended, I would never say a kind word about Julian Symons, popularizer of the "Humdrum" appellation. I would distinguish Street from some of what you were talking about in that his murder methods, while of course complex in the Golden Age manner, has been considered scientifically and mechanically credible. Street himself had been an army artillerist and later an electrical engineer and thus had some idea what he was writing about on these matters. A great part of Street's appeal in his day was his combination of ingenuity with scientific credibility. Dorothy L. Sayers once said that she believed the particular murder method in a John Rhode detective novel would work because John Rhode said it would and he was sure to know. That's why she sought his help with "all the hard bits" in her extremely complex novel Have His Carcase. Street also was, along with Agatha Christie, about the best fictional poisoner in the business.